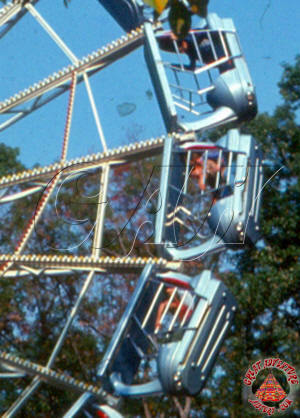 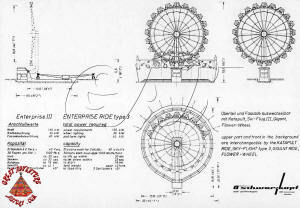 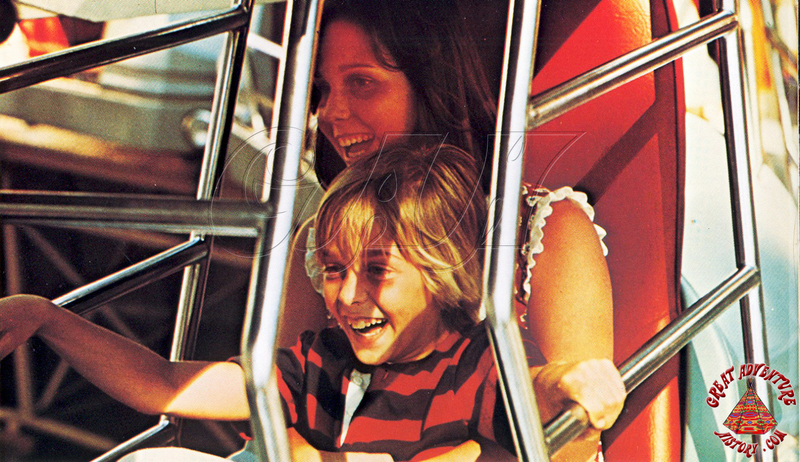 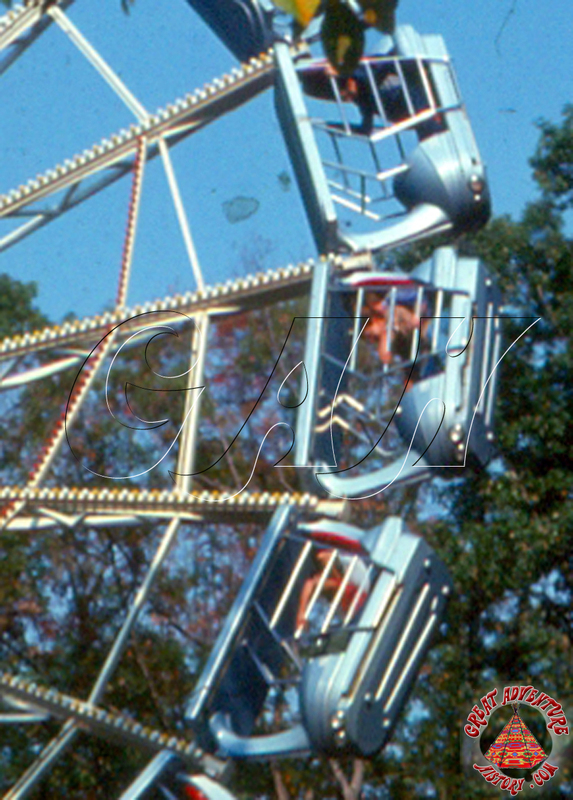 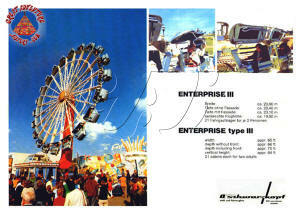 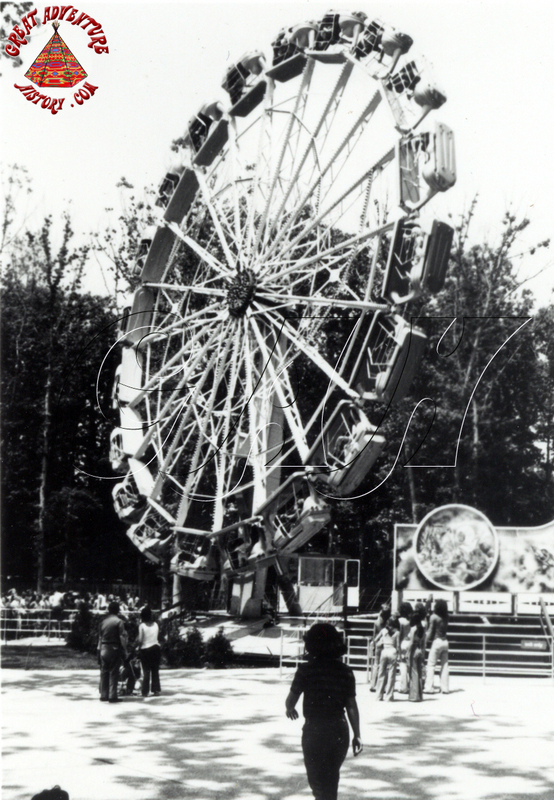 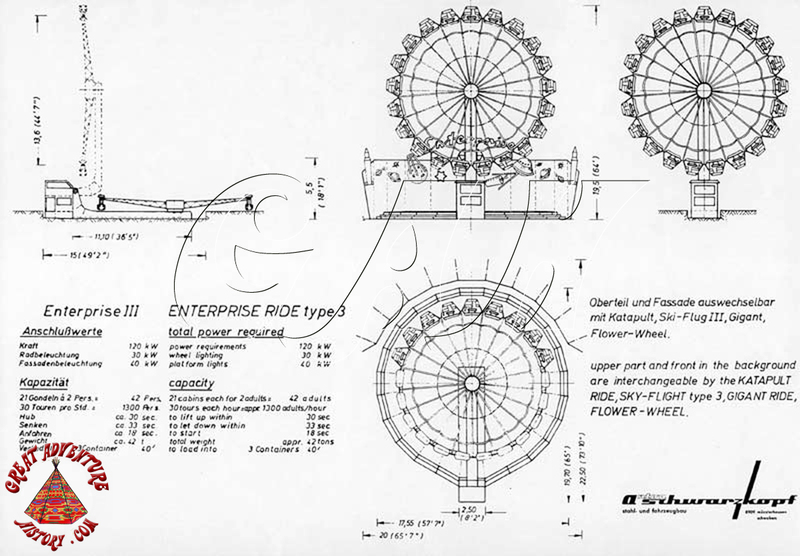 The Enterprise style ride was developed by Anton Schwarzkopf in the 1970's, and offered a new thrill to the traditional ferris wheel with the addition of inversion along with lifting into the vertical position. 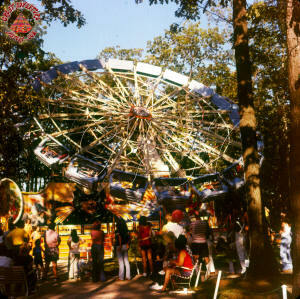 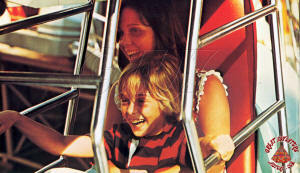 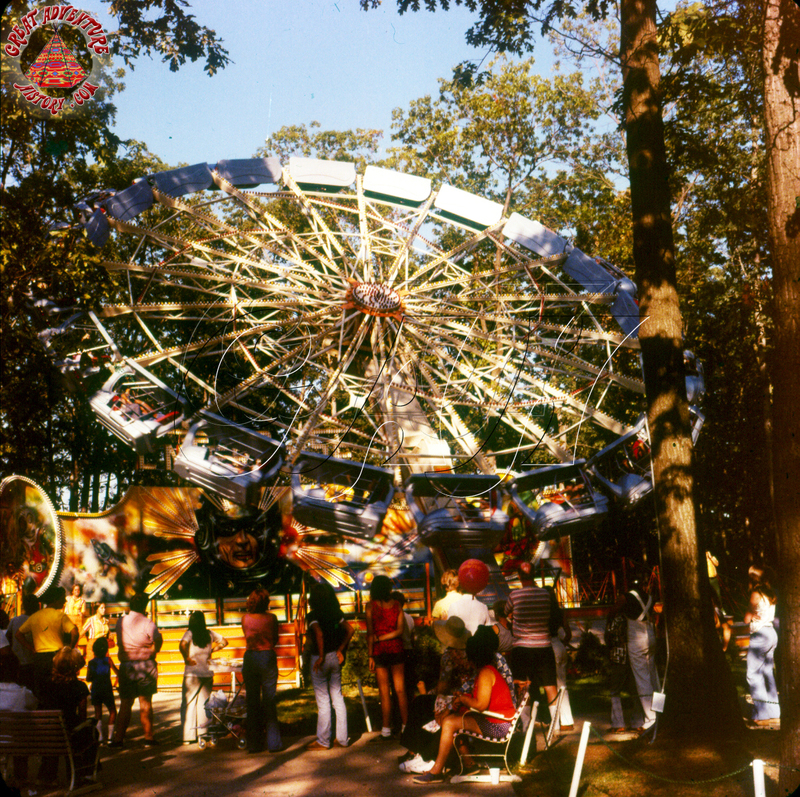 The Huss company also built the rides, with models that were designed to be able to operate as portable models at fairs and as stationary models in amusement and theme parks around the world. 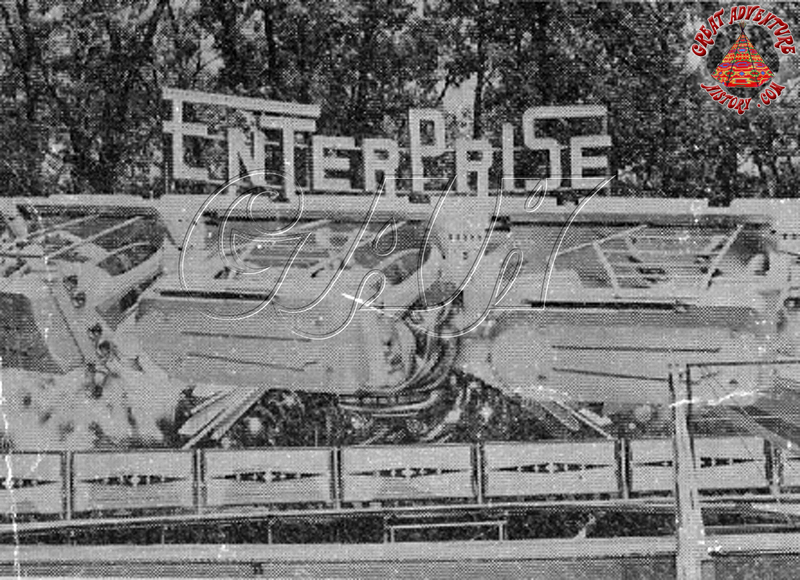 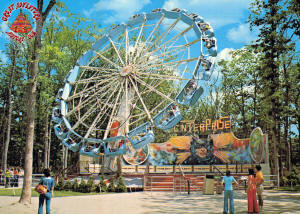 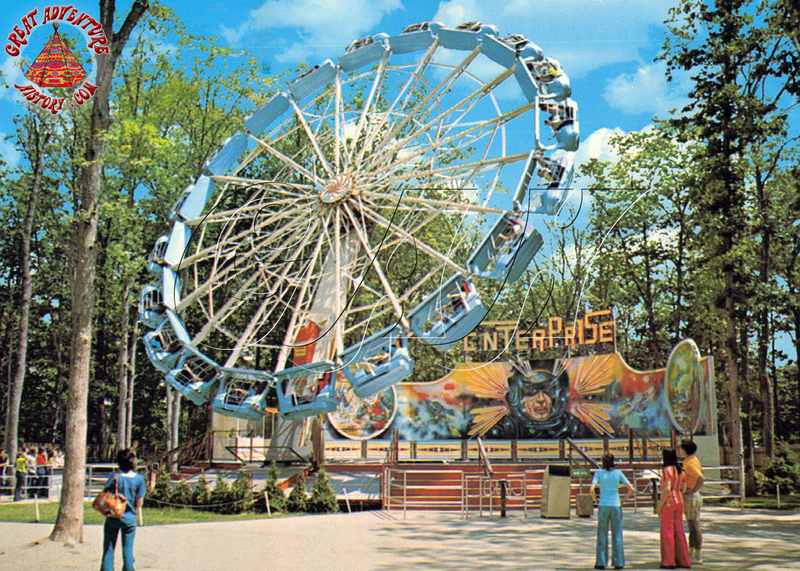 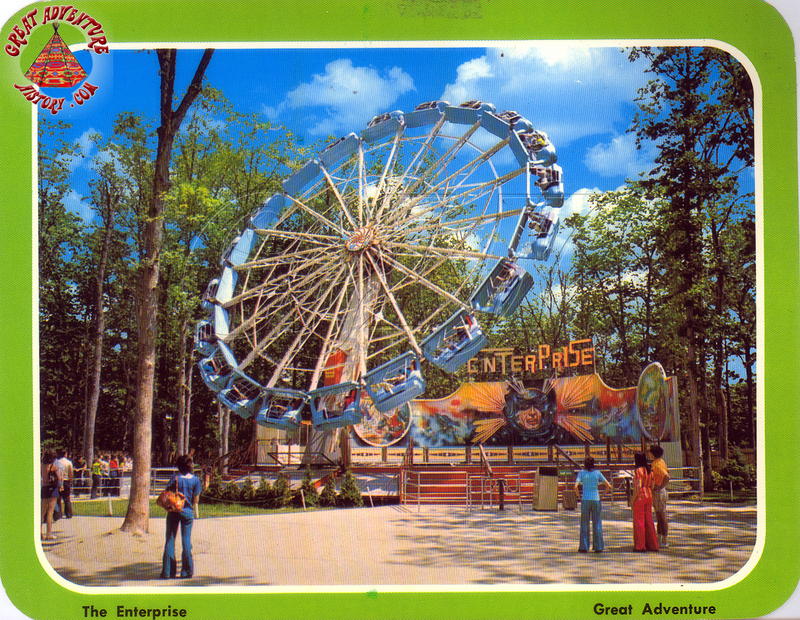 The Enterprise was added to the park in 1975 as part of the Fun Fair section, which expanded the number of rides for the second season. 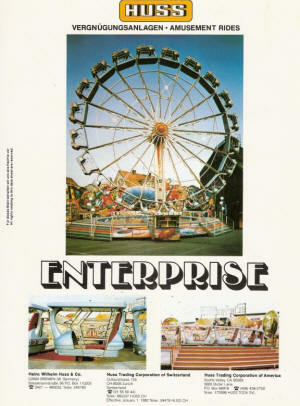 The Enterprise (as well as the Jumbo Jet and Troika) were leased with an option to buy from Willy Miller's Continental Park Attractions. 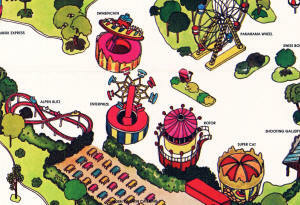 The park opted not to buy any of these ride models. 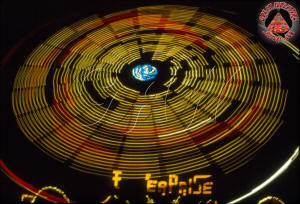 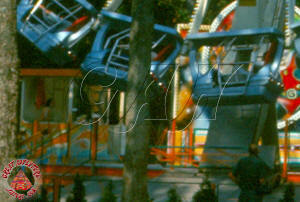 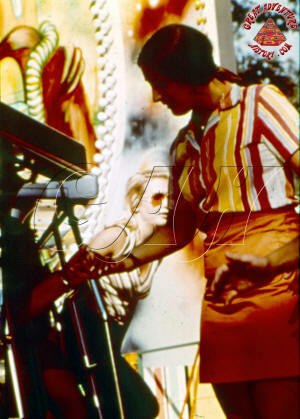 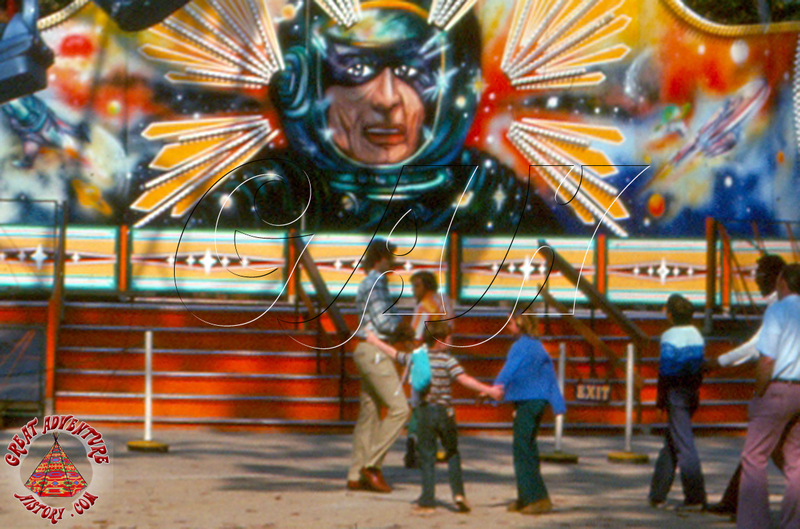 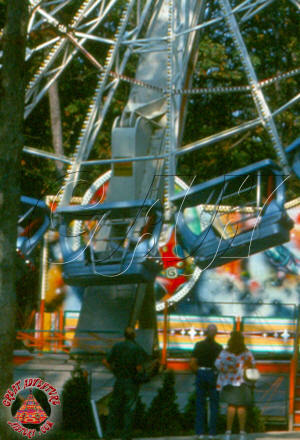 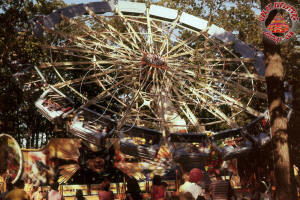 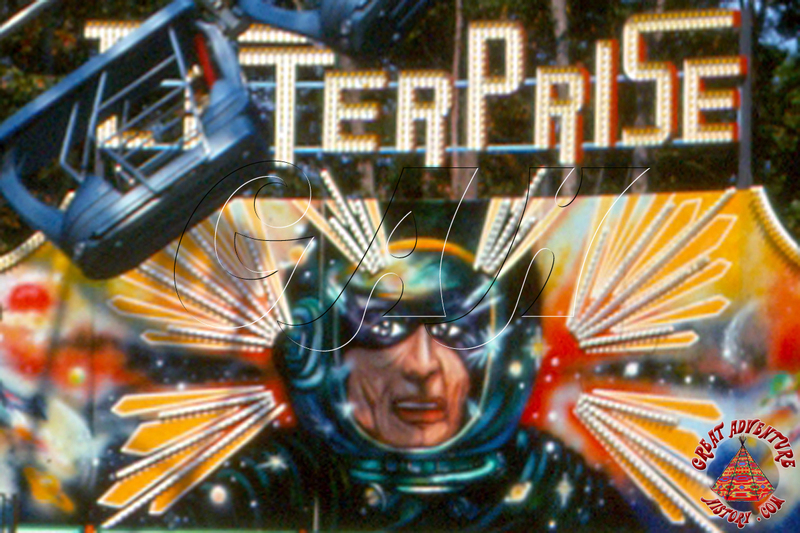 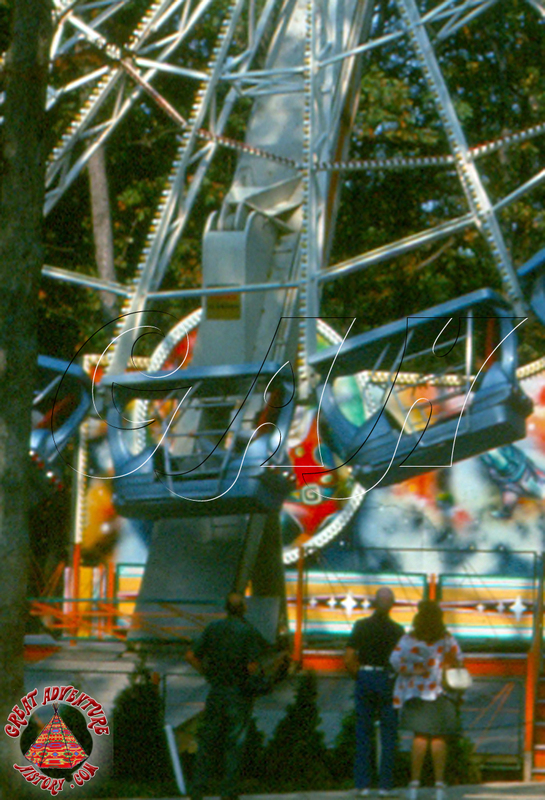 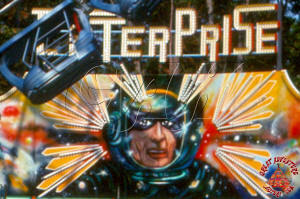 The ride was a portable model built by Huss, and was complete with the stylized airbrushed space age artwork backdrop. 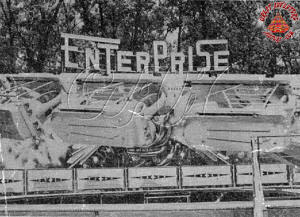 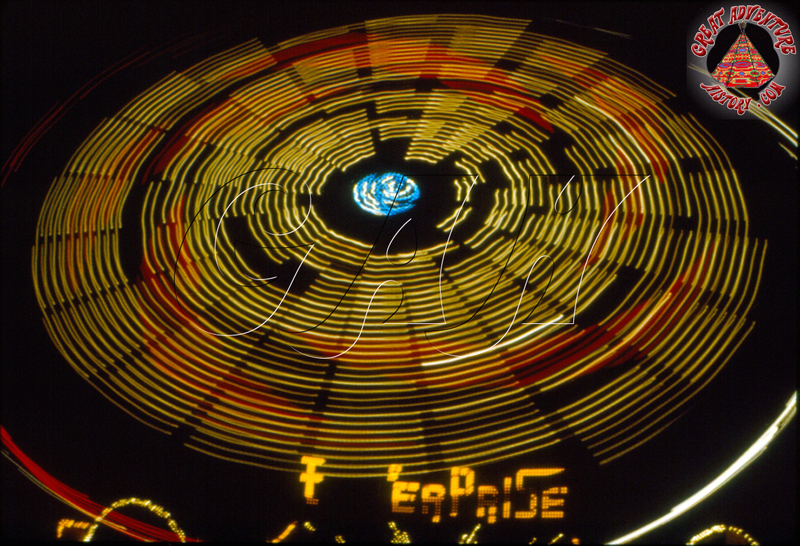 Like almost all the rides installed in Fun Fair, the Enterprise was doused with an intense lighting package which festooned both the elaborate backdrop and the ride structure itself. 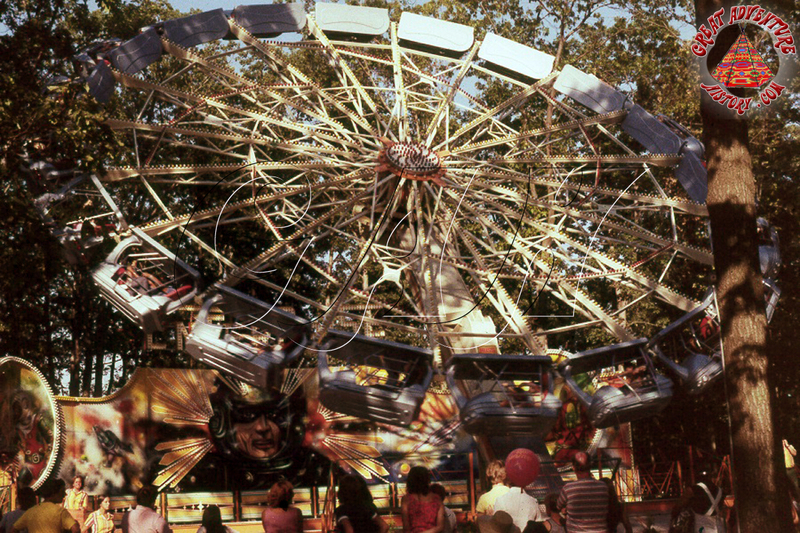 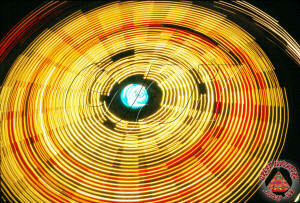 The spinning of the Enterprise and the simulated motion of the ride's blinking light patterns reflecting off the thick canopy of trees gave off a strobe-like effect which added to the excitement of the ride experience. 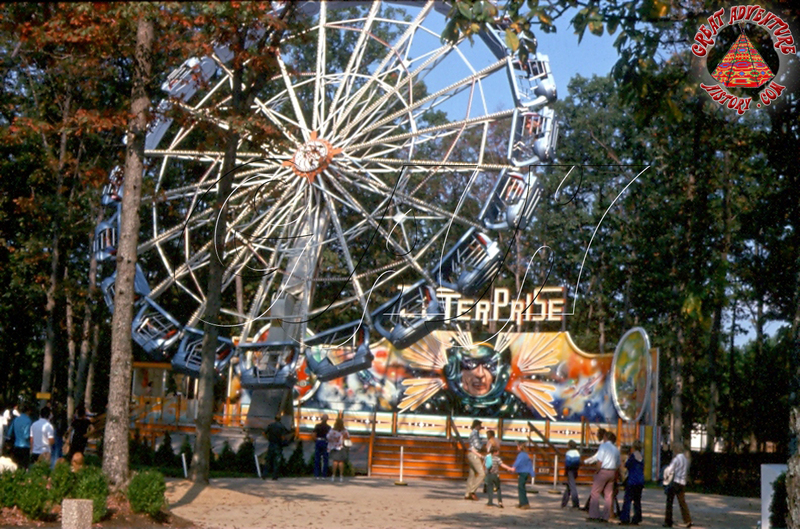 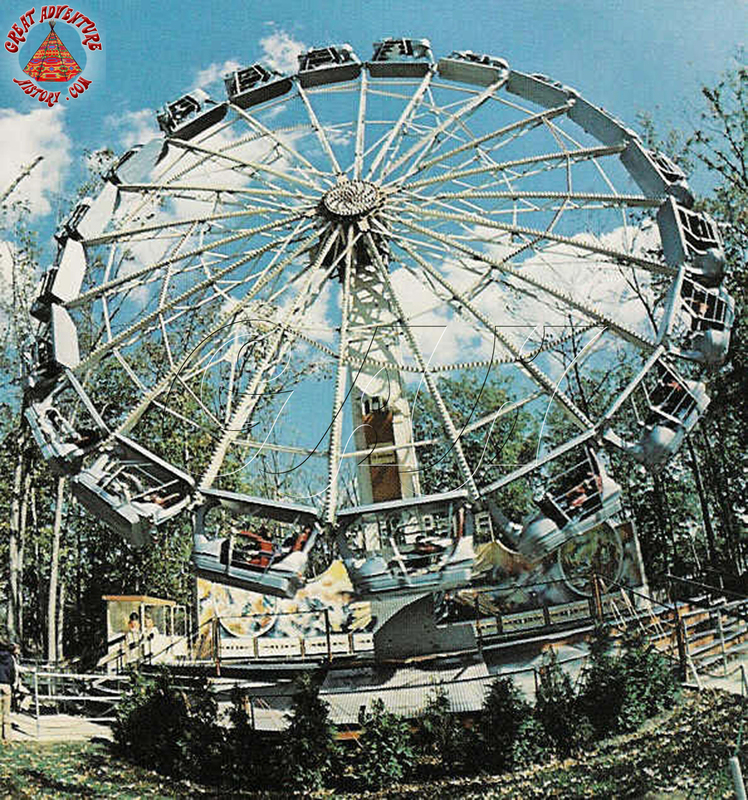 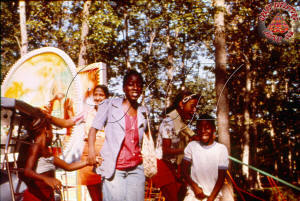 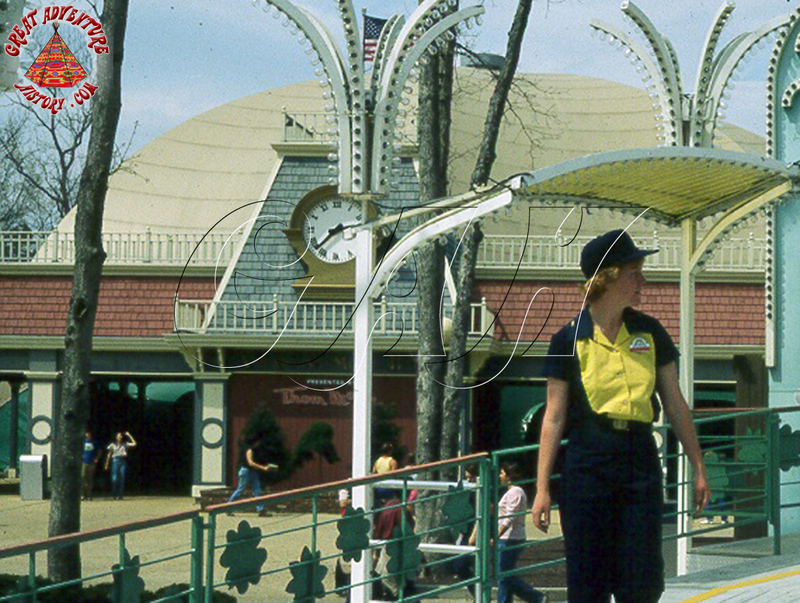 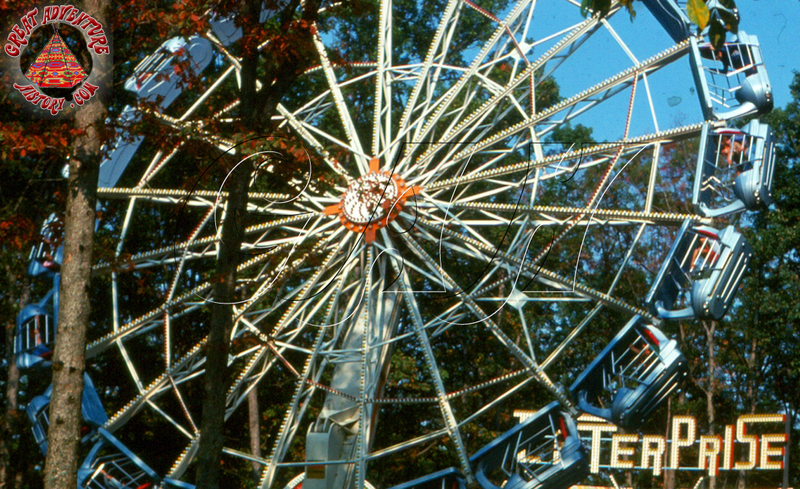 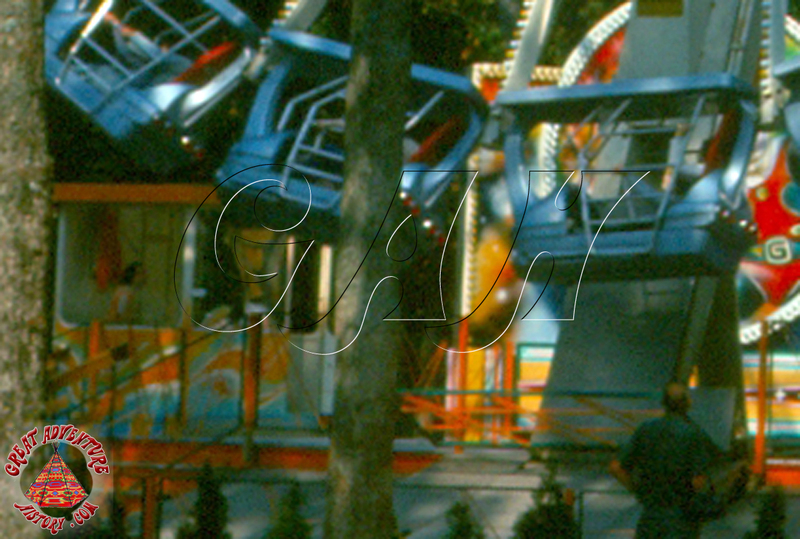 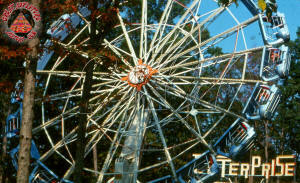 The ride's lease expired and it was removed at the end of the 1977 season to make way for the construction of the Americana Music Hall for 1978, but the ride's popularity led to the purchase of a new park model Enterprise for the 1979 season.